Due to numerous rainouts, Memorial Day was filled with the sounds of racing at Oxford Plains Speedway in Oxford, Maine. After a few morning showers the grandstands filled in nicely for $5 Buck Monday, Fan Appreciation Day, courtesy of 99.9FM, The Wolf. 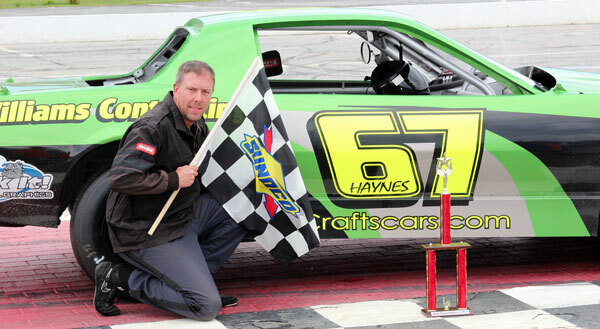 Winners included Trevor Sanborn, Matt Williams, Michael Haynes and Matt Bourgoine. Once again the numbers in the Budweiser Pro Late Models tipped thirty-two cars, forcing some of the top teams to start deep in the field. Tim Brackett rolled to the point and held the lead for over forty laps in the fifty lap main event before Trevor Sanborn outgunned him on a lap 42 restart and started to pull away. In the mean time TJ Brackett from his seventeenth starting spot drove around four cars to the runner-up spot on lap 46. However time ran out on the 2013 champion as he settled for the second spot with Sanborn securing the win, his first of the season. Tim Brackett held on for third ahead of Jeremy Davis and Brad Babb. Positions six through ten were held by Kyle Treadwell, Vanna Brackett, Dale Shaw, Kyle Desouza and Shane Green. Qualifying checkers flew for Gary Chaisson, Sanborn and Billy Childs Jr.
Matt Williams ran a flawless race in the Allen�s Coffee Flavored Brandy Street Stock 30 lap main event as he held off a late race challenge from Zack Emerson. Kyle Hewins edged out BJ Chapman for third spot and Richard Spaulding rounded out the top five. Heat checkers flew for BJ Chapman and Kyle Hewins. �Magic Shoes� Michael Haynes scored his first win of 2014 in the Ripley & Fletcher Ford Outlaw Sportsman as he held off a late run by opening night winner Troy Jordan to nail down the win. David Tripp completed the top three finishing ahead of Guy Childs Sr., and Bryce Mains. Steve Moon, and Haynes won their respective heats. 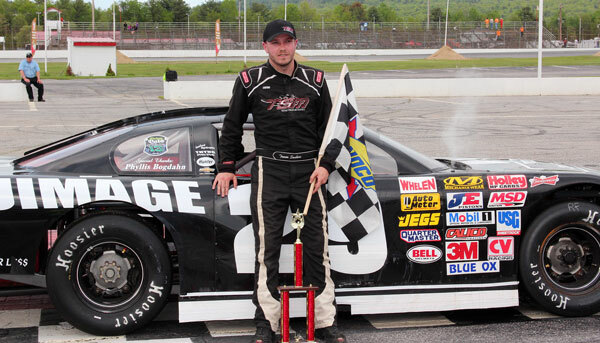 Matt Bourgoine topped a seventeen car NELCAR Legends field as he defeated Reid Lanpher, Bob Weymouth, Wyatt Alexander and Dan Winter in the 25 lap event. Weymouth and Alexander scored heat victories. Oxford Plains Speedway will be back in action this coming Friday night as Budweiser will sponsor the evening�s activities. The giant card will feature PASS Sportsman, PASS Mods, Pro Late Models, Street Stocks, Outlaw Sportsman and the debut of the new Bandit four cylinder division. Post time is 7:30pm.